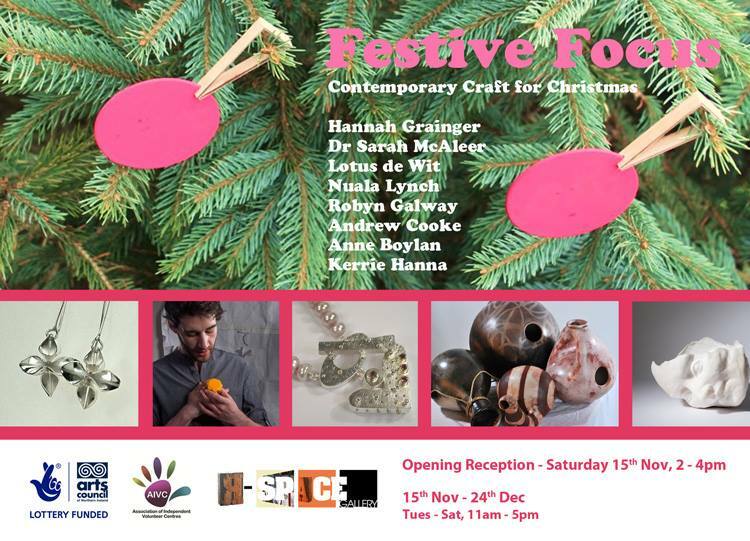 Contemporary Craft for Christmas Exhibition. Work featured from; Dr Sarah McAleer, Anne Boylan, Robyn Galway, Hannah Grainger, Nuala Lynch, Andrew Cooke, Kerrie Hanna and Lotus de Wit. R Space is a visual arts and crafts space, presenting and commissioning a programme of exhibitions and arts activity based in The Linen Rooms in the heart of the City of Lisburn, Northern Ireland. R Space exhibits the work of artists and makers who explore Materials, Messages and Methods of production of work that has meaning in its quality. It is important that their work considers What they use, Why they use it and How they present its outcome.